Keaton Strom and Riley Friesen were teammates in the inaugural season of the Calgary Premier League, both playing for the JVC Timberjacks. 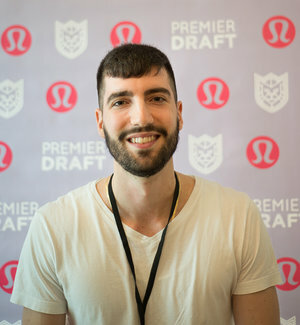 Riley Friesen was notably the 2nd round draft pick. You can find both of these athletes playing in Europe this season. Keaton is playing in Sweden with Habo Wolley for his first professional contract and Riley is in his 2nd contract in Denmark with Middelfart. How did you first get involved in volleyball? Was there a person or reason that got you started in the sport? Keaton: My volleyball career got started late as I was a basketball player growing up. I played volleyball casually between seasons just to keep in shape! I started playing club in grade 11 (U17) and then my love for the sport took over basketball after a really enjoyable high school season. I haven’t looked back since! Riley: I first got involved in the sport in grade 8. I was an active child, playing every sport I could. There was something distinctly different about volleyball that made fall in love with the feeling of the game. My mom influenced me the most as she had been a volleyball player in her youth playing for the University of Manitoba and a brief career with the national team. She encouraged me to try out for the local club team after I expressed my feelings for the game. Do you have any major goals you want to reach in your professional career? Keaton: My top goal is to make it to Italy’s 2nd division. I’ve always wanted to live in Italy and learn the language, so if I can play ball and do that, I’d be over the moon! 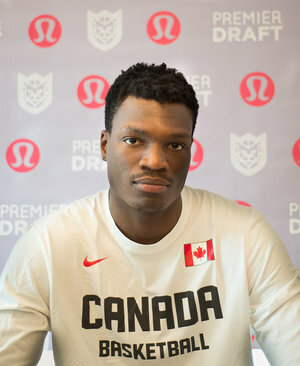 I’m also exploring the idea of making a run for the Canadian National B team this summer…but it’s more of a dream than a conscious goal for now. Riley: Not at this time. I’d like to use my career as a tool to travel Europe and experience living in a different part of the world for 1 or 2 years before pursuing a business career. Keaton - this is your 1st contract overseas, how has that experience been so far? Have you had any challenges or successes this season that you want to share? So far, it’s been amazing! Definitely not without some adversity, but overall, I’ve been really enjoying myself here in Sweden. Most of all, I’ve been loving being able to have volleyball in the forefront of my day and mind to focus on without any significant distractions around me. Riley - this is also your first year overseas, but your 2nd contract since you just switched from Greece to Denmark. Can you talk about why you changed teams? In Greece I struggled to perform, I was ineffective in both passing and attacking during my time there. It was different than playing University or club. It was no long playing for fun, competition or love of the game. It was now a business. You had to perform and if you didn’t to the level the team needs…well there is no obligation for them to keep you around especially if you’re an international player and expected to be a top player on the team. I was fortunate enough to find another contract in the Danish league through a friend who was coaching in the league. I wanted to finish off the year and give myself another chance to perform instead of going home. How did you guys find the transition from university to professional? Was it a natural progression or was there a learning curve involved with different training and nutrition etc. Do you still keep in touch with your university team mates and coaches? Keaton: I personally think [the transition] would’ve been tough if it wasn’t for the Premier League this summer. Even with the training, I noticed a jump in the level of playing, there was definitely a learning curve. I’ve taken to the workouts and nutritional side of my career and it’s a lot easier to take care of my body for games and practices without having to worry about assignments and classes. There are some guys on my old college team that I keep in touch with, but just as their lives keep moving forward, so does mine, so I’m certainly not keeping up perfectly with them all. Riley: The biggest difference is the amount of free time in your schedule. Once you’re playing overseas your only obligations are to practice and work out, at most that’s 5-6 hours on the busiest of days. For most athletes, a busy schedule is something we have gotten accustomed to for almost our entire lives. Learning how to be disciplined and productive with that free time is something I’m still trying to figure out how to deal with. I don’t stay in touch with my university teammates and coaches. They are having a great season and I hope they continue on the path they are on but I mainly keep in touch with family and friends. How do you foresee the rest of your season going? Keaton: It’s up in the air…but I’m optimistic. We absolutely have a shot [at playoffs], but it will take a lot of hard work in order to capitalize on it. Riley: Right now, Middelfart is in the middle of the Danish league and we just won 2 important games against teams that are close to us in standings. The current goal is to get as high as possible in the standings so we can set ourselves up for a favourable quarterfinal match-up. If we continue to grow as a team I believe that we have a shot at upsetting the top teams and making a push for the championships! Habo Wolley is currently competing in the Quarter - Finals (5th-8th) against Lunds in the Elitserian League. Game 2 happens on March 21st at 2pm. 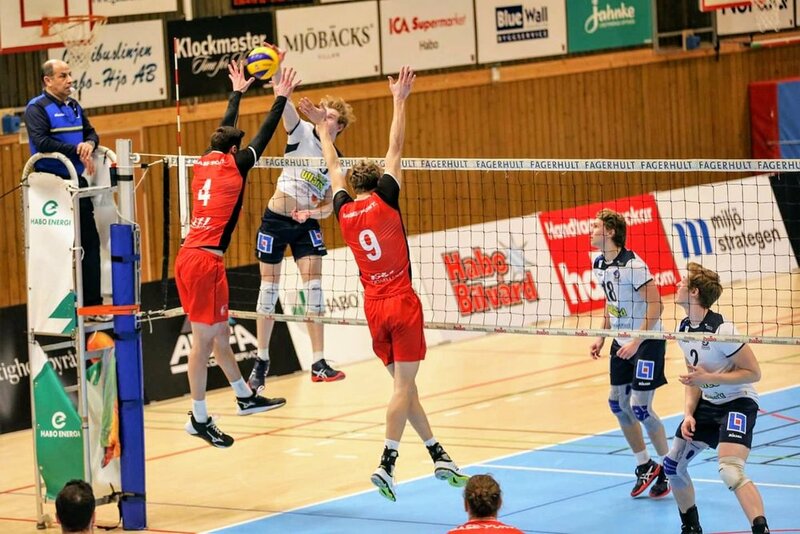 Middelfart is currently competing in the Semi - Finals against Gentofte in the Volleyligaen league. Game 1 happens on March 24th at 10am. Uchenna Ofoha and Patrick Strzalkowski pictured before their pre-season game. Patrick Strzalkowski, of Madawaska Madmen, and Uchenna Ofoha, of Soul Machine, are both playing for the German 2. Bundesliga this season. 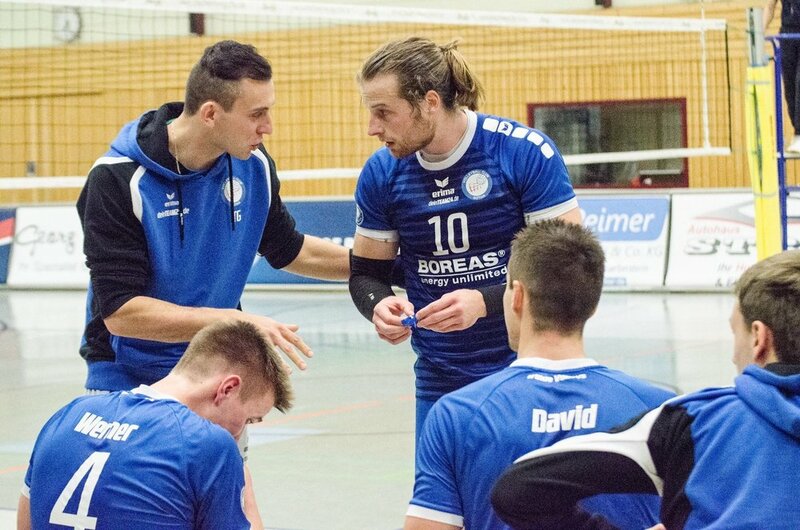 Patrick has returned for his 2nd season with VC Gotha in 2. 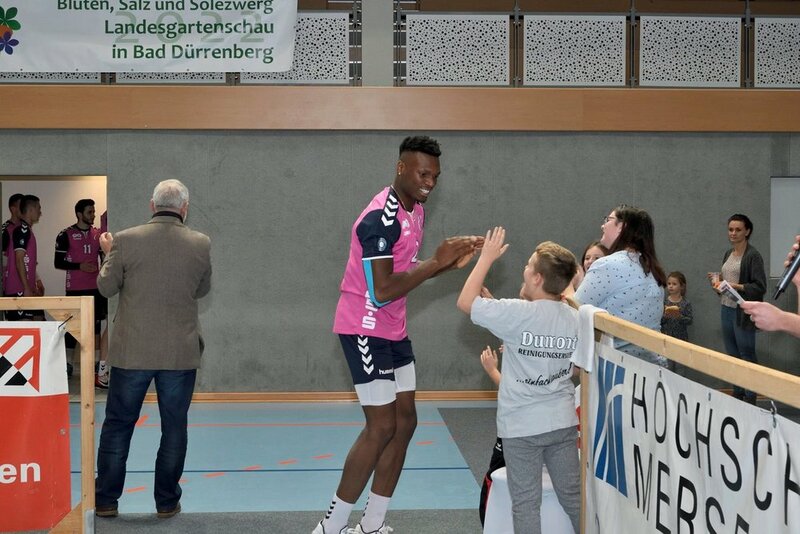 Bundesliga South and Uchenna is playing with CV Mitteldeutschland in 2. Bundesliga North. These two Premier League athletes don’t play each other during the regular season, but it’s during friendly competition during their pre-season games when these two friends can play together again away from home. 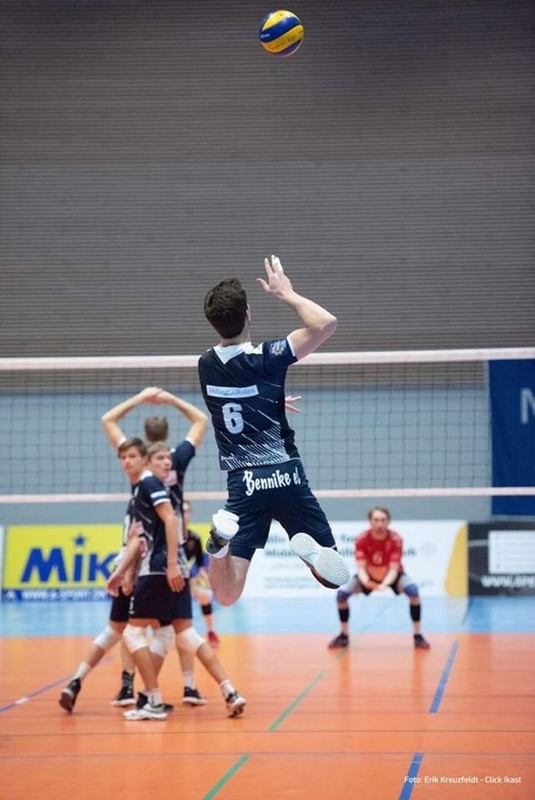 Patrick - Can you talk about the differences between playing volleyball in Germany at a professional level compared to University in Canada or even the Premier League? There’s quite a number of differences actually. To start, my team here [VC Gotha] is composed of athletes between the ages of 17-31 and some are in school, some work, some have families, and some, like myself, are solely professional players. It’s a change from the 18-23 years old’s you play with at the university level. In university, you bond quickly with your team and often spend many hours together – training, living, studying and partying. Here in Germany, my teammates are all in different life stages with different priorities which can make it difficult to create quick connections and relationships as well as socializing outside of practices. It can be a lonely experience. There is a lot more down time, I am expected to be at practice 4 times a week and a game 1-2 times a week. Outside of that, my time is my own. Last season, this was tough when volleyball was not going well, I didn’t have something to fall back on as another means to feel productive or someone to fall back on for support. This year, I have been in a German Integration School for 3 hours a day since October. It’s giving me that feeling of being productive when volleyball fails to do so. Playing overseas is also more stressful, it’s a job at this point. We are expected to perform to a certain standard and are responsible for potential relegation and promotion of the team between leagues, which brings with it the loss or gain of sponsors, money, fans etc. The Premier League was more relaxed and fun in comparison. Being able to play with and against old teammates and adversaries in front of a home crowd makes it really special. Uchenna - What’s been your highlight moment of your professional career now that you’re into your 2nd contract? I’m lucky enough to have two stand out moments so far, not just one. The first, our team CV Mitteldeutschland finished the first half of this season with an 11-0 record. We’re all pretty proud of that. Second, is a personal highlight. I achieved 16 points in one game as a Middle Blocker (with 8 blocks). Uchenna - You run a business, can you tell us a little about that? How do you manage that from overseas and working it around your training schedule? I run a business called TutorPrince which is a tutoring company that specializes in tutoring Student Athletes at all levels of education (elementary to post-secondary). I have a team of successful Student Athlete mentors/tutors who have been through it all and came out on top. They range from Master’s students, Academic All-Canadians and Student-Athletes who achieved 4.0 GPAs while being a top player in their sport. We not only help with the academics side but also, with goal setting and time management skills. These are critical skills that are required for all successful student athletes! I run it from Germany by trusting 2 of my main employees to run the administrative side of the business. Emily Nicholishen, a former Premier League athlete and Ryerson Rams volleyball alumni, is the Director of Operations. I handle the finances and some of the marketing along with the scheduling. 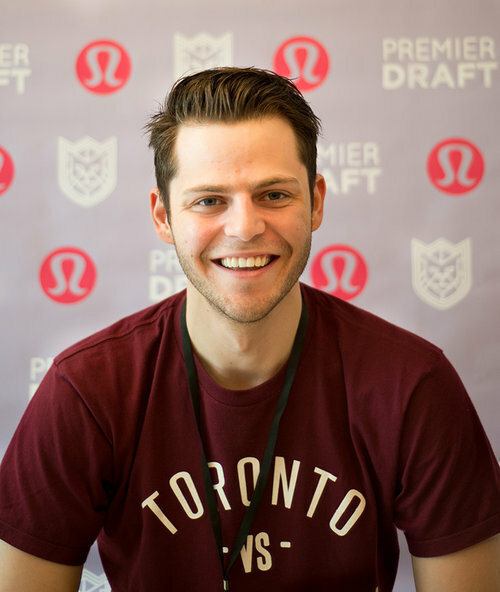 I started this business when I was at Ryerson because I noticed a number of student athletes who were struggling with their academics but were smart individuals. I looked into why these athletes weren’t achieving the grades they deserved. The main thing I learned, was that the key to success was the critical combination of studying with the right time management and having the right goal setting skills. And just like that, TutorPrince was born! Why did you choose volleyball as your sport? Was there a person or a reason that you were influenced by? Patrick: I played a lot of basketball growing up. In high school I also ran, jumped and threw a bit in Track and Field. I saw this as cross-training for volleyball. A teacher at my high school, Steve Bonazza, was definitely the reason why I switched from basketball and stayed with volleyball. He coached me on 7 different teams in four years across high school, MAC Volleyball Club, Region 3 and Team Ontario. I stuck with volleyball because I loved the team aspect and culture, it’s very team-oriented. One player can help lead a team to victory, but not without every other player being integral in the team’s success. Uchenna: Funny enough, it’s the sport I was the worst at. I played a lot of sports growing up, volleyball being one of them but for some reason, I was just never GOOD at it. Because of my competitive personality, I wanted to be good and improve my skills. So, I worked at it until I got to the point where I actually grew to love the sport. Going into university, I had to make a decision about what sport I wanted to play and I stuck with volleyball. It was only after my 1st year of playing with Ryerson University that I really made that leap from “not-so-great” to “good” and even then, I had to decide if I wanted to work to become better and play at the high level that my teammates were playing at. So, I went all in and really pushed myself to work hard and improve to play at the level that was needed. How is the environment playing in Germany compared to anywhere else? Patrick: The environment, particularly at Gotha’s home games, are absolutely amazing. You may only have 200-300 fans but the passion here is much greater than anything I’ve seen in Canada. It’s energetic and the fans are always loud and involved. I feel truly lucky to have fans that I can talk to after every game and have been able to build some great relationships over the last season and a half. Uchenna: Both countries were great to experience. The level of volleyball played is very similar as well as the environment. But the German fans are a lot more intense. They really appreciate the game which makes playing here very enjoyable. The living experience is where it is completely different. In Finland, it was cold and dark a lot of the time. But, there was a lot less distractions, so I was able to focus on my playing. Germany has bigger cities and so in that way, it reminds me of Toronto. And the weather is a lot better! What does the remainder of the season look like for you? Do you have any goals as an individual or as a team you want to achieve? My personal goal is to pass my German language test! Uchenna: Our team won the 2. Bundesliga North last season, and we’re on track to do the same this season. If we win, we have the opportunity to move up to the 1. Bundesliga. Last year, the team chose to stay in the 2nd league just due to sponsorship opportunities that were available. So, there will be a discussion to see what the team wants later down the road. But I think that would be an awesome accomplishment. 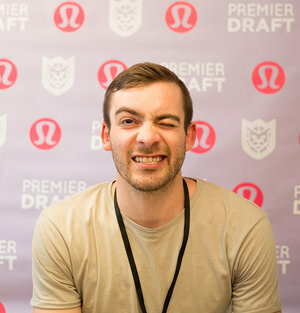 Jackson Maris and Keith West both played in the inaugural season of the Calgary Premier League in 2018. Jackson was the 1st pick for his team, the JVC Timberjacks and Keith was 1st pick for his team, the WM Greenbacks. These two talented athletes are currently on contracts in Europe – Jackson with Hammelburg in Germany and Keith with Chaumont in France. We asked the players a couple of questions to get to know them a little better! How did you get into volleyball? Did you play any other sports growing up? Jackson: I got into volleyball from a young age. I was introduced to the sport by my father as he was a volleyball player and he got myself and my brothers into the sport. As for other sports, I played all the other sports most kids play – soccer, baseball and basketball. Keith: My dad also played volleyball and he got my two older brothers playing when they were young. Having watched them play, I got into the sport as well at a pretty young age and I was hooked from day 1. I played a few different sports, but volleyball was the only sport I played at a competitive level. Did you want to pursue professional volleyball or was it something that just happened and you took the opportunity when it arose? Jackson: I’ve wanted to play professionally since my club days! Playing a sport as a job was something I was always interested in and wanted to try. Keith: It was something that only came to mind around my 3rd year of University. Initially, I wasn’t sold on the idea of leaving Canada and being away from family and friends for such an extended period of time. After I finished my last year of USports eligibility, I felt that I wanted to continue playing. Despite the drawbacks [of leaving Canada], I decided I wanted to pursue a professional contract in Europe. Jackson – This is your 4th contract, what has your life been like moving around Europe? You’ve moved from Canada to Sweden to Germany! Are there any significant highlights/challenges in the last 4 years? Moving to a new country definitely has its challenges because you miss so much back home. Every Christmas, Thanksgiving, and birthday celebrations you have to be included over FaceTime, but you find ways to make where you feel like home. My fiancé has been with me for most of my time in Europe which has made the biggest difference. Also, the teammates and friends I’ve made can make it such an enjoyable experience. Keith – This is your 1st contract, how are you finding it so far? What have been some of the highlights/challenges in adjusting to life as a professional athlete right after university? I ended up in a very fortunate situation and everyday I’m reminded of that. Chaumont is currently tied for 1st in our pool for Champions League, as well as in the final four for the French Cup. 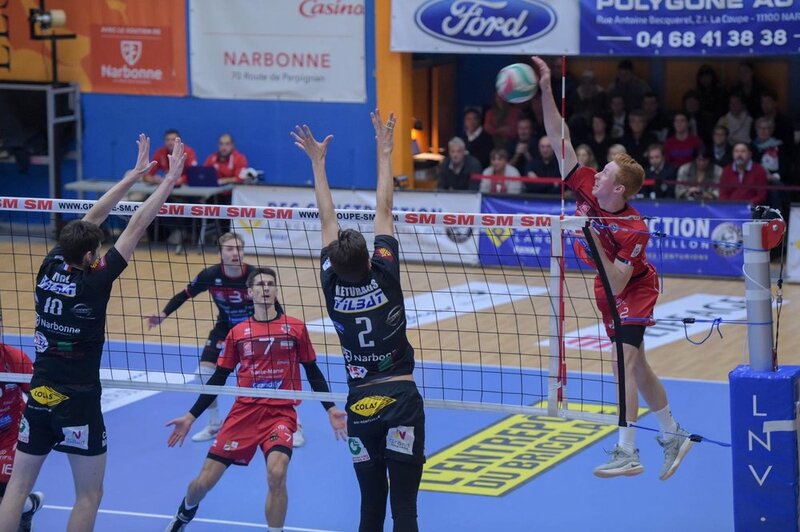 In the summer, I asked my agent to find me a team where I could experience the highest level of volleyball, and I’m lucky to be in that exact situation! How does competing overseas compare with competing in the Calgary Premier League? Did the league help prepare you? Jackson: The biggest difference from the Calgary Premier League is the time commitment. Having to train at least once a day and on top of that you have team workouts - compared to one or two practices a week in the Premier League - is what makes it a full-time job. Keith: The popularity of volleyball in Europe is a big change from playing Canada. With established leagues in almost every country, attending volleyball games is something that a lot of people do for entertainment. I think the Calgary Premier League was able to accomplish this last summer, maybe on a smaller sale, but it was amazing to be a part of. I want to see Volleyball become a part of the mainstream conversation when it comes to sporting events in Calgary. Jazmine White was the 1st draft pick for the Panthers in the 2018 Premier League and Danielle Brisebois was 1st for the Soul Machine. 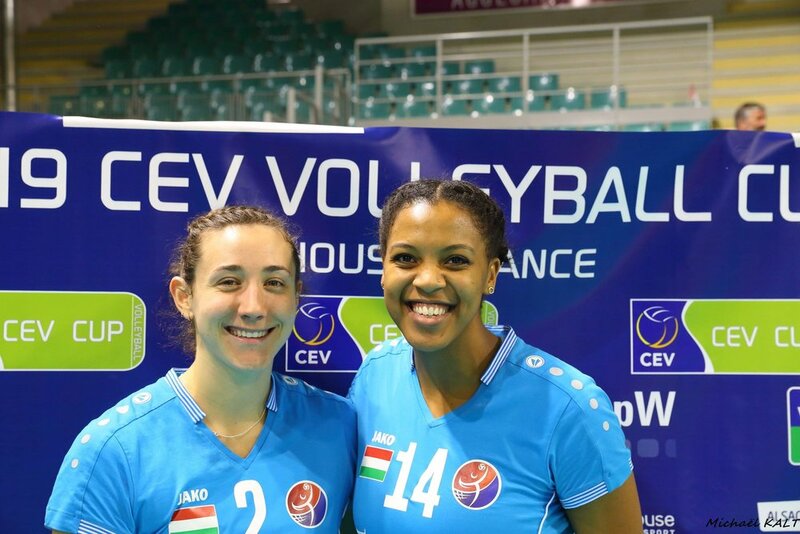 These two fierce competitors became team mates after they both signed a contract with Hungarian team Fatum Nyíregyháza for the 2018/19 season. This is Danielle’s 2nd season playing in Europe professionally and Jazmine’s 3rd season. 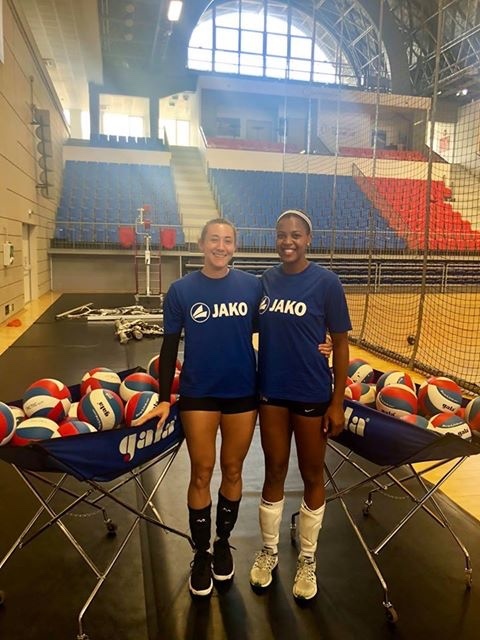 The women were kind enough to give us some insight into their life competing overseas and how they got to this stage of their volleyball careers. 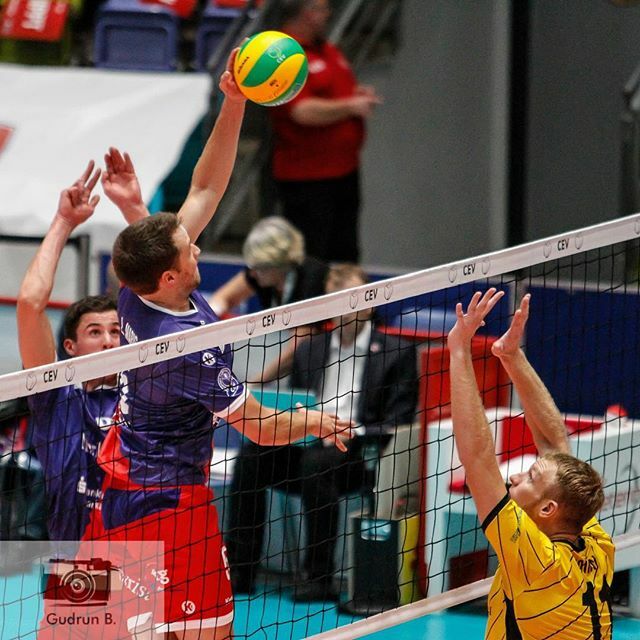 How did you get involved with professional volleyball? Was that your intention from start? Danielle: My plan was always to play professionally after university. I first realized it was a possibility in my final year of high school and ever since it was something I wanted to try. In my final year of university, I reached out to some former teammates from UBC who were playing pro and they helped me make it a reality! Jazmine: I always wished I could play pro, but it seemed like a dream that wouldn’t actually happen. The thought never properly crossed my mind until I had agents reach out to me after my college career was finished. It wasn’t expected but I knew it was an opportunity I couldn’t pass up! Did you encounter any roadblocks on your road to becoming a professional? How did you overcome them? Danielle: My main roadblock was finding a good agent to work with. Originally, I had signed with a big agency who represented girls I had watched playing in the Olympics which was really exciting. However, after a few months, I realized the agent was more in it for himself rather than what I wanted in a contract. Luckily, after speaking with him, he let me out of the contract early. I think it’s important to get to know the people you are working with and have open communication about what you’re looking for overseas. That way you give yourself the best chance to succeed. Jazmine: A big challenge for me was coming from the off-season after my senior year in America. I had to learn how to eat and stay healthy and maintain my fitness on my own without a coach or trainer telling me what to do all the time. That took some time. It was definitely an adjustment. I had to work really hard on that before my first contract. Over the last few seasons, I’ve definitely learned a lot about how foods affect my body. This has been a great help in learning how to fuel my body for better workouts and life in general. What has been the most challenging in your life as a professional athlete? Danielle: The most difficult is keeping yourself busy when you’re not training in the gym or on the courts. There’s a lot of downtime and while many athletes enjoy this aspect of playing professionally, personally, I get a little stir crazy! Not knowing what to do with my time is challenging, so there are many hours spent reading, hanging out in coffee shops or just watching Netflix. Jazmine: I think the hardest part is just being away from your loved ones. Missing out on so many birthdays, holidays and big life events is really tough. It’s great to have an automatic group of friends when you’re on a team but it doesn’t quite compare. What has been the best part of competing overseas/professionally? Danielle: The best part about playing overseas is simply being paid to do what I love! It’s a really great that something that was a hobby as a kid has now become a way to make a living. Jazmine: My favourite part has been making friends all over the world. Playing professionally has allowed me to see and experience things I might otherwise not have had the opportunity to. Do you have any season/personal highlights of the 2018/19 season so far? Jazmine: We were voted the All-Star team in the pre-season tournament! That was pretty cool. Also, we’ve advanced to the semi - finals of the Hungarian Cup and to the 2nd round of the CEV Cup, so to be able to bring home a medal in both would be amazing! 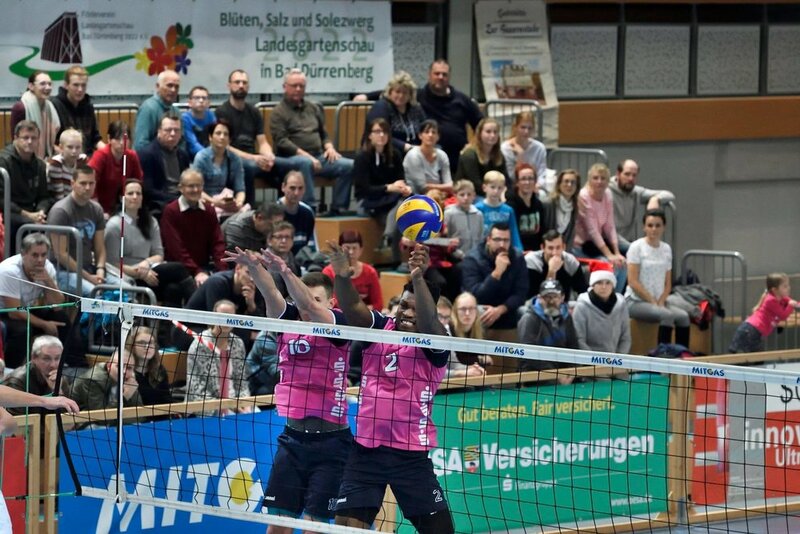 *The girls played in the 2nd round of the CEV Cup on January 23rd against Mulhouse and were eliminated. The final score was 0-3. How did playing in the Premier League help prepare you for your season overseas? The league was great place to train with other elite athletes locally during the off-season. It was great to have consistent opportunities for touches unlike when I trained alone in previous off-seasons. Having a different perspective from new coaches was great and also, having weekly competitions kept me mentally sharp! Outside of the court, it was nice to see old friends and hang out, catch up with everyone who was coming home from their overseas contracts. You can catch their games live on their Facebook. 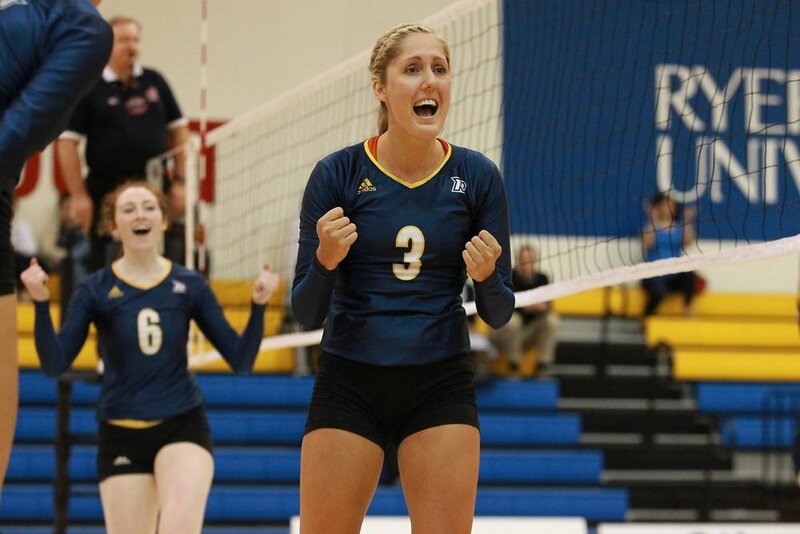 The list of Canadian athletes competing abroad keeps growing with Emily Betteridge signing her first professional contract with Brøndby Volleyball Klub in Denmark! A former Team Ontario athlete, Emily started her ascent to pro ball at Syracuse University and finished her varsity run at Ryerson University where she was a 2nd-team OUA All-Star in her final year. She joined the ONE Volleyball Premier League in 2017, competing for Unity Volleyball, to take advantage of the extra training time over the summer while she looked to fulfill her goal of playing volleyball overseas professionally. Finding a contract is not a simple process. While most athletes start their seasons early September, Betteridge was still looking for the right contract by this time, "I think I learned some valuable lessons in the time it took to get here. It's reminded me that you can't control the timing of your life, but you can control your attitude and your work ethic," she says. After competing with other pro athletes during the summer she knew that was the level she wanted, and could be playing at, she just needed to be patient. Fellow Premier League athlete and Premier Cup Champion Asli Ersozoglu landed her first contract earlier in the summer with Brøndby Volleyball Klub, and when her team started looking for a new setter she immediately recommended Betteridge. An opportunity came up to travel to Denmark to train with the team and see if it was the right fit, and Betteridge jumped on the chance to start her dream. 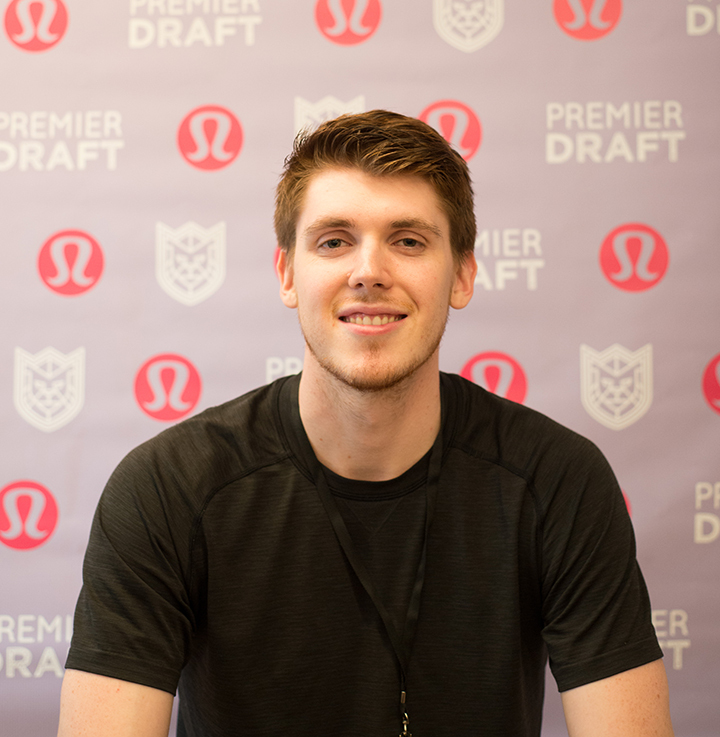 "I'd been working toward the goal of playing overseas for a while, so having the opportunity to go to Copenhagen was more than exciting. I went to Denmark on a trial and got to experience the volleyball and the life for a week before signing. While that certainly came with some pressures, it allowed me to completely embrace the experience, take every day as it came, and both challenge myself and prove to myself, that I deserved to be here," she says. Betteridge joins Brøndby mid-season with a record of 18-3, and they sit in 1st place in the VolleyLigaen Damer League. Follow Asli and Emily on their pro journey in Denmark on our Athletes Abroad page!